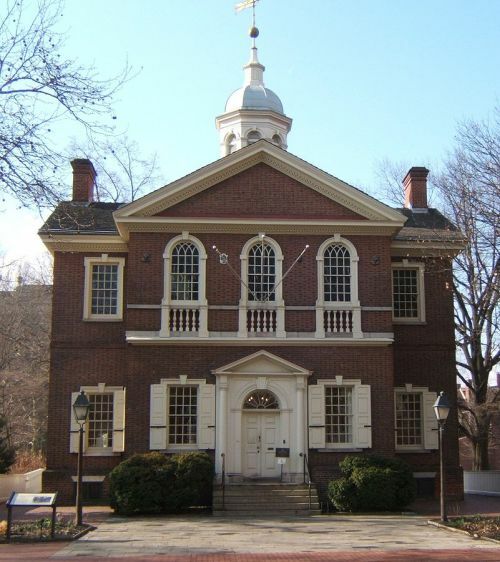 The Carpenter's Hall is a 2-storey Georgian building where delegates from the first Continental Congress gathered in this building in 1774 and voted to declare independence from Great Britain. 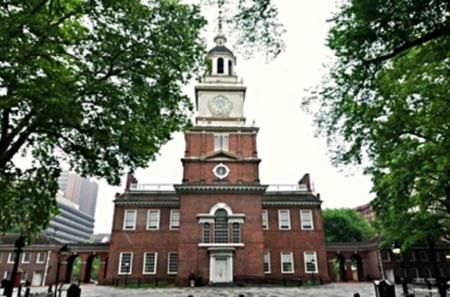 The Carpenter's Hall is a 2-storey Georgian building where delegates from the first Continental Congress gathered in this building in 1774 and voted to declare independence from Great Britain. The Hall also housed the first and second banks of the United States, and was the site of the first bank robbery in America.